Located on a stretch of Franklin Blvd. 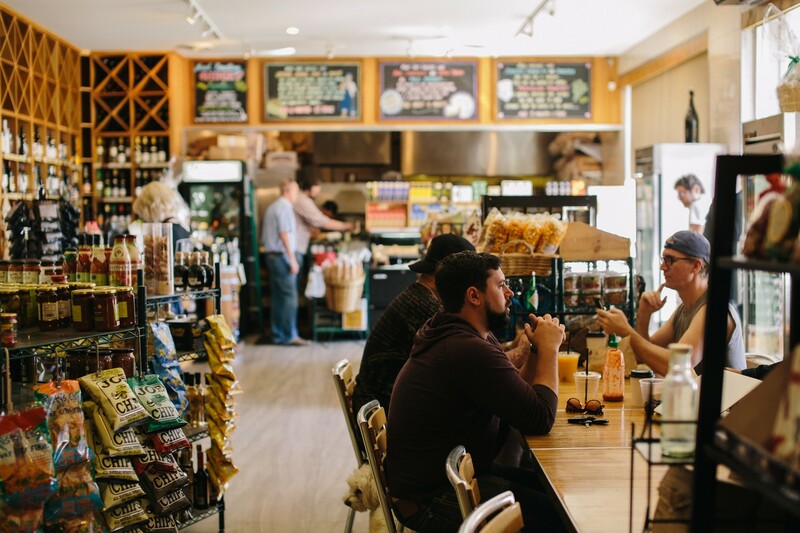 largely dominated by screeching improv actors, The Oaks Gourmet is a cafe/marketplace and a great spot for a quick lunch in Hollywood. All of their sandwiches are solid, but you’re here to eat the burger. Topped with house-cured bacon, arugula, onions, smoked jalapeno pineapple compote, and taleggio cheese, there’s a lot going on, but it all works perfectly. If you want to wash it all down with a beer, they have plenty of those, too.